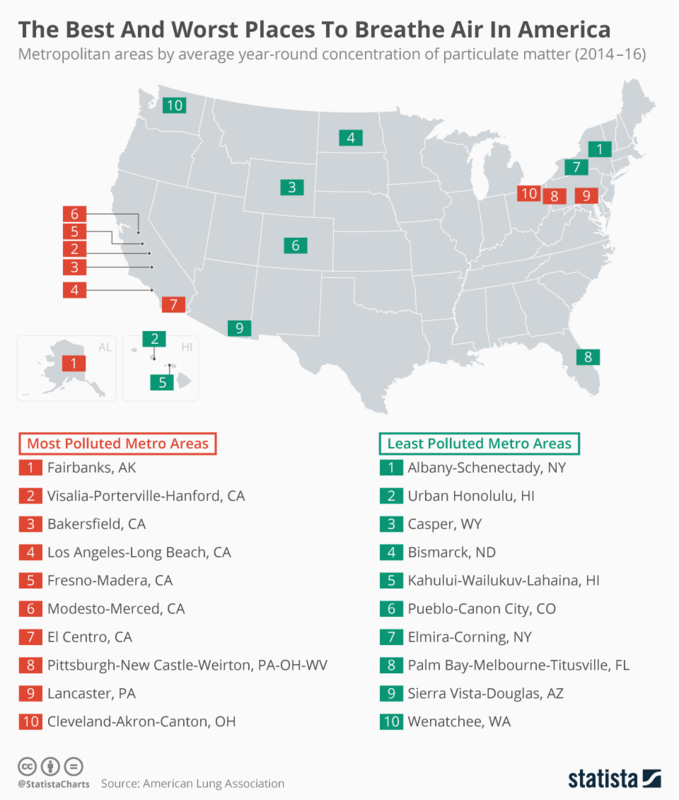 Big, green apple ... where everything from the air to school lunches are becoming cleaner. Thanksgiving weekend, 1966. A thick smog engulfed New York. Residents with respiratory or heart conditions were warned by health officials to stay indoors as toxic air hung in a haze over the city. Residents were put on alert: officials called on people to take voluntary measures to cut back on emissions. Finally, three days later, on 26 November, a cold front dissipated the pollution. A study later that year estimated that 10% of the city’s people had suffered some form of adverse health effects as a result of the smog, and it was later acknowledged people had also died as a result. At the time, this was the third major smog to have affected New York. It has entered cultural lore and is now viewed as a turning point. New York City updated its laws on the levels of air pollution permitted, and President Lyndon B Johnson later passed federal legislation that would become the 1967 Air Quality Act and the 1970 Clean Air Act. With major airports, cabs galore and a population of 8.6 million, keeping a tight rein on air pollution in a city like New York is going to be a continuing battle. However, modern day New York is keen to show it hasn’t forgotten the lessons of the past. Here are some of the steps the city is taking to go green. School canteens in New York City are cutting meat from their menus one day a week from September. Students at 1,800 state run-schools will now only be offered vegetarian options on Mondays, in an effort to improve health and cut meat consumption. Livestock farming is one of the biggest contributors to greenhouse gas emissions, accounting for 14.5% of the global emissions caused by humans. As a species, cattle account for two thirds of this output. New York schools also have recycling facilities in place to teach children how to separate food waste from other types of rubbish, and have banned polystyrene plates in favour of compostable plates. Fashion designers in the city are teaming up to change the throwaway attitude to clothing that has developed with the rise of cheap rapid-turnaround copies of catwalk items. Make Fashion Circular, launched by the Ellen MacArthur Foundation, is aiming to create a circular fashion economy in which clothes are made from renewable materials, and new clothes created from old ones. Every year, New York City sends 200 million pounds of clothing (equivalent to over 440 Statues of Liberty) to landfill. Around the world, 73% of the materials used to produce clothing are either sent to landfill or burned after use, with less than 1% of old clothing being reused to make new clothing. Brands including ASOS, Gap, and H&M will work with the New York City Department of Sanitation and contribute to a network of more than 1,100 drop off points around the city where people can hand in their old clothes to be reincarnated. In an effort to boost the city’s green energy credentials, New York Governor Andrew Cuomo announced a $1.4 billion commitment to fund renewable energy projects, powering 430,000 homes. The money - the largest single commitment to renewable energy by a state in US history - will be spent on 26 large-scale initiatives, including 22 solar farms, three wind farms and one hydroelectric project. The move is part of the governor's plan to meet 50% of New York’s energy demands with renewable sources by 2030. The projects, which are expected to be up and running by 2022, should reduce carbon emissions by 1.6 million metric tons, equivalent to taking 340,000 cars off the road. They will also create 40,000 jobs in the clean energy sector by 2020. Manhattan’s congestion charge will help fund subway repairs. 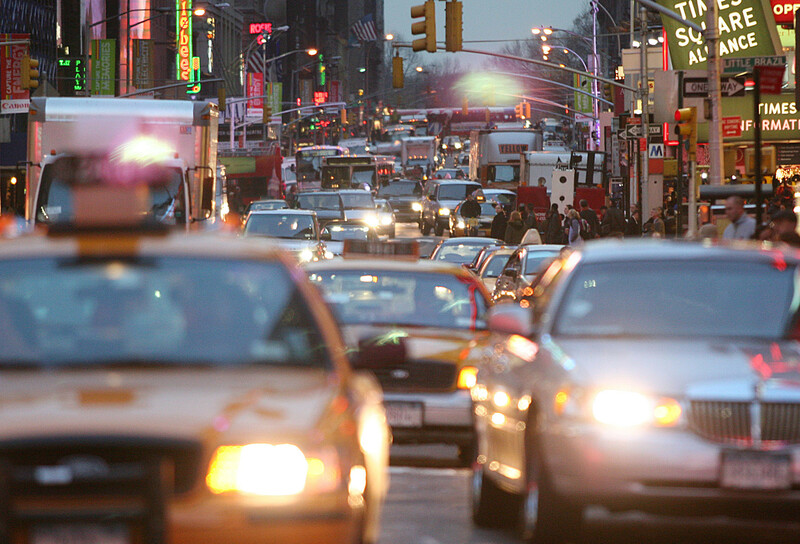 In a first for the country, a congestion charge is being introduced for drivers in the Manhattan area. Cars passing by electronic checkpoints in the busiest parts of the city will be charged a daily fee. As well as aiming to reduce emissions by keeping cars off the road, the initiative is expected to raise billions of dollars that will be reinvested in the public transport system. The scheme was announced as part of the 2020 budget, which also included plans to ban single-use carrier bags. A handful of other international cities operate similar tolls, including London, Stockholm, Oslo and Singapore. London’s system, which was introduced in 2003, has seen traffic volumes in the charging zone drop by around a third, while the number of cyclists has climbed dramatically.